With all of the love received from fans about the first album, Red Sun Rising went to work on their second and most recent album. Two years later, Thread was released and has been a huge success. With dark lyrics, but catchy and mood-lifting melodies, Thread is the perfect record to jam out to this coming summer. I went on to discuss the band’s hit song “Deathwish”, a song containing deep, thought-provoking lyrics, but a melody to uplift your mood. Songs like these are what hit music listeners the hardest, because the emotional connections between the band and the fans are there, but the catchy rhythms are what cause them to spam the repeat button. A specific lyric I noticed that seemed to have a relatively deeper meaning compared to the rest of the song’s lyrics was “The devil finds love unless you’re too late, unless you’re too late.” I asked Mike what the inspiration was behind the song, and if it was from a personal experience. Still on the topic of writing, Mike talks about their single “Left for Dead” and how it was especially personal to him. “Left for Dead was written more easily because the emotions just kind of spewed out–they were already there.” If you listen to song, you’ll notice how the lyrics seem to target a person and how they have left everyone for dead, but who exactly were they talking about? Mike told me it was targeting a person who was leaving a group of people. “Someone leaves a group to go after what they think they wanted, and the people they left were treated so poorly, which caused them to not want that person to return. Later, the person who left the group realizes they messed up and can’t reenter the group.” In other words, someone left the group behind, not caring how it affected them in the slightest, and is now regretting doing so. In conclusion, the articles claiming Red Sun Rising was worried about the album hitting the charts were way off track. The band is far too down-to-earth to be worried about how much money they’re making, or how popular their art is. Lastly, I wanted to know what we were to expect from Thread. I wanted to know what exactly made Thread significantly different from their first album, Polyester Zeal. The biggest difference, according to Mike, was not in melody, but in who was writing the songs. Mike and his bandmate, Ryan Williams, did most of the writing in Polyester Zeal, but this time, the band collectively recorded this album. Red Sun Rising had gone through many different band members throughout the years, not because they were being fired, but because some things just don’t work out. Thread was when Red Sun Rising really became a band and created art in the studio together, which is what makes the album so special. Red Sun Rising is a special band because they don’t care whether or not their albums hit the charts, they just want to create art. They don’t hold themselves down to writing for one specific genre either. In fact, their hashtag #WeAreThread represents their dedication in making music with different thread of melodies, not just one. They won’t describe themselves as solely rock or alternative because they feel music isn’t about being categorized. It’s about enjoying the melodies and liking a song simply because it sounds good, not because it fits into the genre of music you tend to listen to. 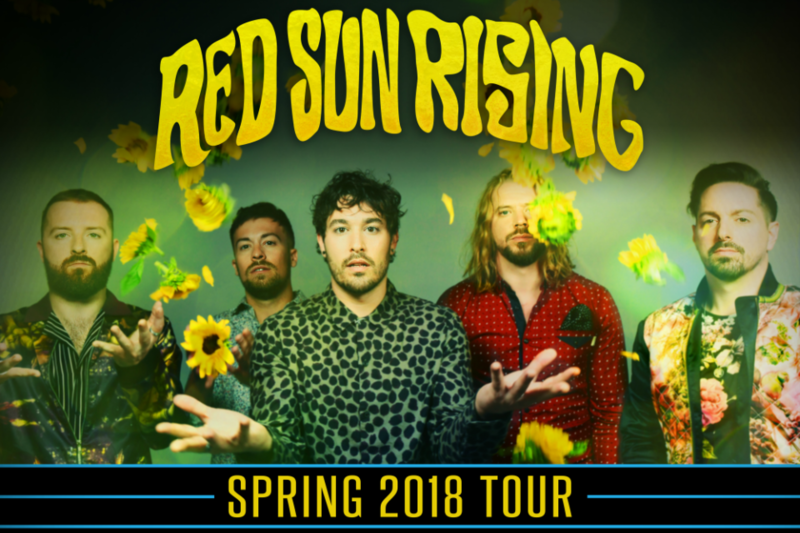 Music is intended to be enjoyed by all, regardless of what genre you are used to, and this is the message Red Sun Rising is trying to send to music lovers everywhere. Come out and see Red Sun Rising tomorrow night (May 29th) at The Old Rockhouse in Saint Louis at 7 p.m. Doors open at 6 p.m.